WooCommerce has quickly established itself as the top software for running eCommerce websites, it is a free plugin for WordPress which enables you to setup your own online store and choose which functionality you would like to use with by adding any number of plugins, payment processors, sliders and other related functionality. WooCommerce was acquired by Automattic, the commercial arm behind WordPress.com so it’s future is in great hands. If you are choosing a plugin for WordPress to handle your online store, then by choosing it you will know that there is a good team involved with developing it and extending it’s capabilities. 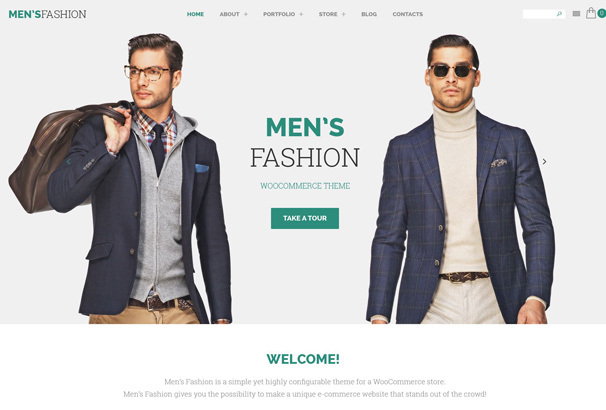 There are a growing number of WordPress themes designed specially for use with WooCommerce, in this collection we are taking a look at the Best Fashion WooCommerce themes – these themes will enable you to sell clothing, T-Shirts, fashion accessories, beauty products, cosmetics and anything else related to fashion. They have modern designs and imagery and they are also responsive meaning they will look good on any device, meaning more sales for you. 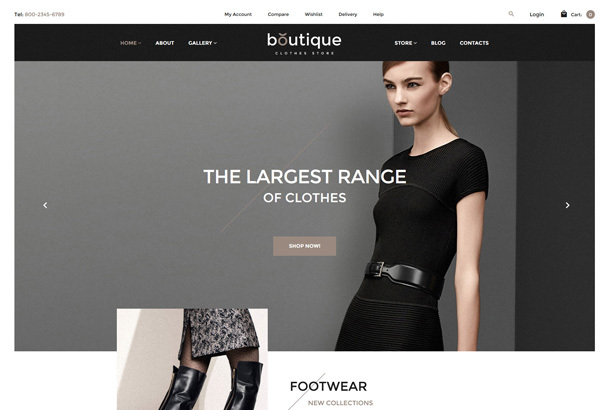 With Boutique, you can bring your web shop to its full potential. 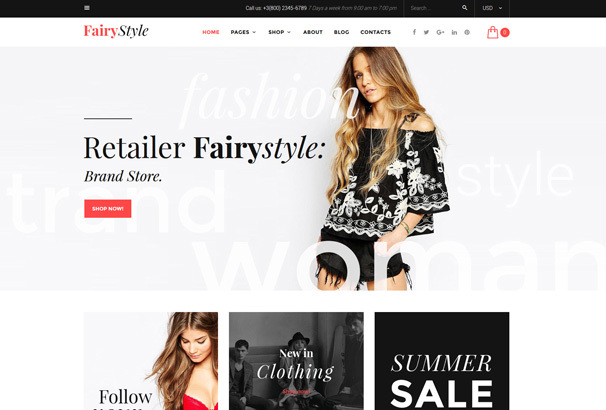 This theme is specifically developed and designed for high-end online stores who sell clothing, shoes and fashion accessories. Its clean and modern design with responsive layout makes this theme looks great on desktop as well as on mobile devices. With this theme you are able to highlight certain products and categories in order to make them unique and stand out from the surrounding products. This way you can control your sales and make it bigger. This theme is all about fashion. It comes with beautiful and modern design to captivate your customers and make sales. It’s built with Bootstrap and with clean and valid and SEO optimized code it will definitely help in search engine rankings. It’s packed with various tools that let you build powerful and user-friendly online store. Fairy Style comes with multiple carousels to keep multiple products in a single block as well as tabs and filters for hassle free product searches. Good thing is that you can preview changes while editing default design. This theme introduces non-standard design. This uneven design approach makes this theme very interesting and popular. Lingerie store is oriented towards selling intimate items on the web and comes with bunch of features. With this theme you will be able to inform customers of discounted products or add a catchy sale tooltip to the specific store item. To further accent and bring modern design, this theme comes with addition of ghost buttons. Despite non-standard design this theme is very attractive and will definitely catch attention of your future visitors. This theme is all about selling goods. 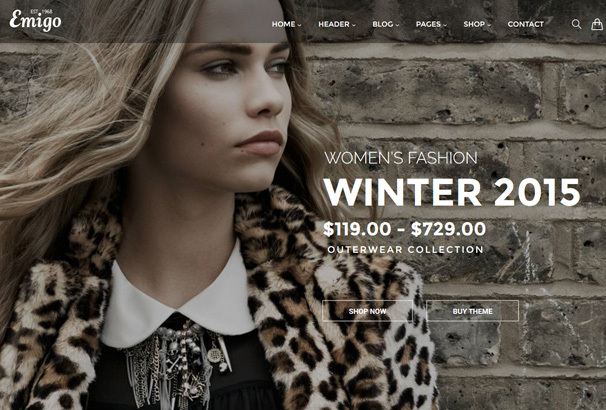 Dresses online is a grid-based WordPress theme powered by the WooCommerce. With this theme you will notice increase in sales. Why that? Because of the grid based layout and properly arranged products, parallax effects, background video and audio player which a gives full plethora of options to choose from. Beside that, you will be able to reach your customers even on mobile phone and tablets thanks to its responsive capabilities. NU T-Shirts is a new and contemporary theme that makes its content to stand out, and that’s the strong point of this theme when it comes to sales. It’s powered by WooCommerce plugin and it’s easy to setup and maintain. It’s packed with lots of features like accordions, isotope, carousel sliders and fully customizable layout. Code is clean and valid with strong support in documentation and customer services. Design is very clean and modern looking with emphasis on retina photos and responsive layout. 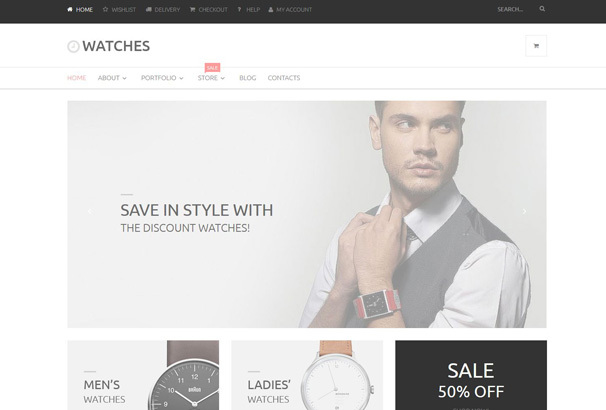 Watches is clean and minimalistic WooCommerce theme with lots of features that will make your online shop turn into a successful online business. You can add labels like “new” and “sale” on your products to attract customers and promote different discounts and collections. Products are presented via sliders with enhanced hover effect. Watches is WPML ready so you can spread even on foreign markets. This theme is fully responsive, SEO optimized and cross browser compatible. Shok will definitely shock you. Especially with its modern, man oriented design. It comes with different layout options, a parallax effect for added dynamic. Utilizing modern technologies, Shok has clean code, and for developers, it comes with LESS support for quick customizations. Items are arranged into carousels and with Facebook Like Box in the footer, you can really show that you care about your customers. Besides that, there is a nice signup form which will help you collect customers e-mails for marketing purposes. 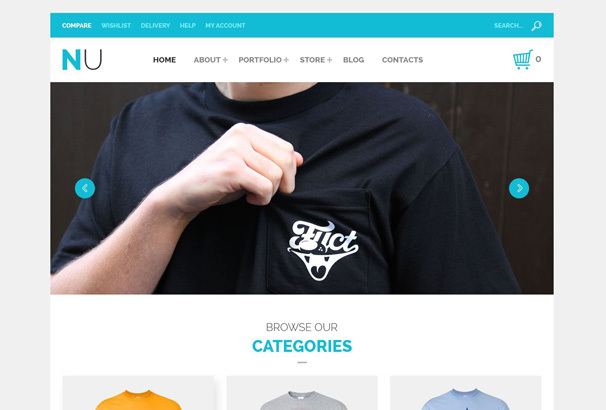 T-Shirt Store is a beautiful and good looking theme powered by popular Cherry Framework. This infrastructure allows you to make changes directly from the admin panel. Don’t be confused with its name, this theme is not just for selling T-shirts, it’s fully functional multi-purpose WooCommerce powered online store theme, which allows unlimited customizations thanks to the advanced admin panel. 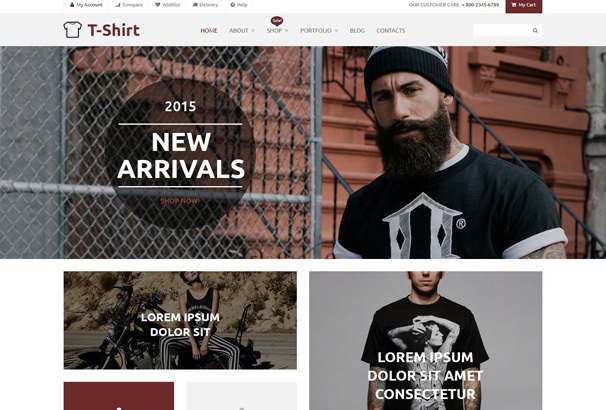 With user-friendly interface and responsive design, this theme could be your next awesome online store. 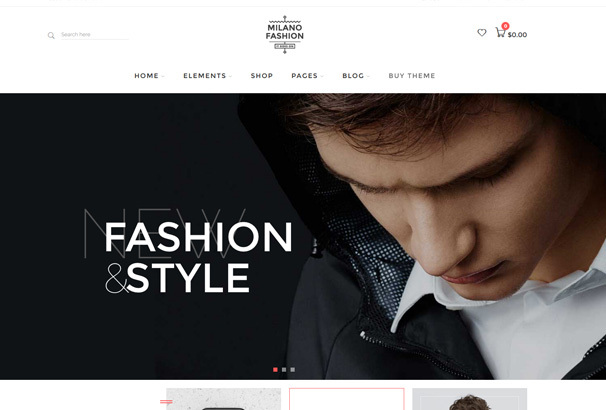 If you are interested in minimalistic and monochromatic design, this WooCommerce powered theme is your best bet. Besides SEO friendly code optimized for speed, this theme comes with plenty of features to choose from. It’s built with powerful Cherry Framework and its front-end designed is maintained with Bootstrap Framework. The theme comes with a simple design, with good use of whitespace and images. Products are elegantly presented and give an overall modern and attractive look. Worth a try. 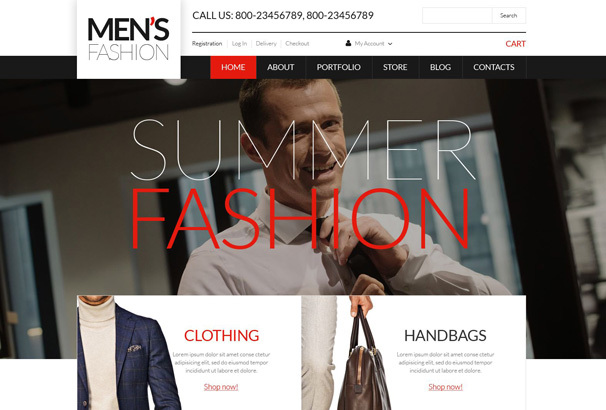 If you are the fan of minimalistic designs then Men’s Clothing Store is a perfect solution. 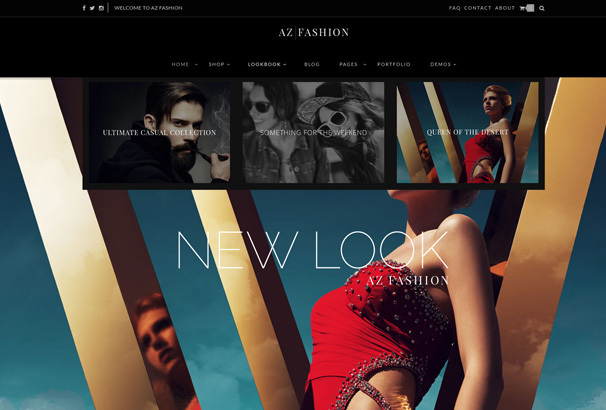 This WordPress theme will present latest fashion collection in a modern and great looking design. You can try this theme, and you will be surprised how good it is. With plenty of options and features, it can power your online store within minutes. Don’t let the name mislead you, it perfectly fits for all online store themes. Another great theme oriented towards online selling. With WooCommerce support, setup of this theme will be a breeze. 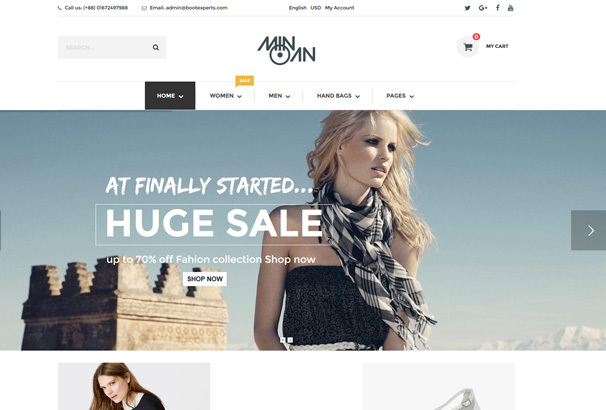 This theme features classy design and it’s perfect for selling garments, accessories and other fashion goods. With Bootstrap and Cherry frameworks it will look good on all mobile and desktop devices, and with SEO optimized code it will help rankings too. If you are looking for the perfect theme to increase your sales, then you are in the right place. With this eCommerce theme you will be able to make a great profit thanks to the attractive design and all-in-one solution it provides. It’s modern and professional looking site with amazing layout option and great customer support team. Definitely worth a try. This neat looking site will bring your sales to another level. 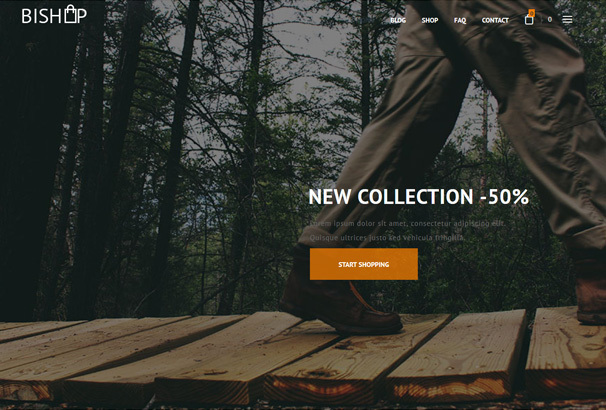 Fully customizable and powered by WooCommerce plugin this theme really packs a punch. It comes with three unique design options for the homepage, and with easy drag & drop builder you can easily manage and organize products to your liking. Also, it comes with quick view product popup screen and with Visual Composer plugin which will save you $39. With 6 different layout options for the home page, this theme is about customization. This versatility will give you enough options to mix different page designs and make a perfect site tailored to yours, and needs of your customers.Every homepage is unique and with Mega Menu and slideshow support, it will bring your products right in front of your customers. 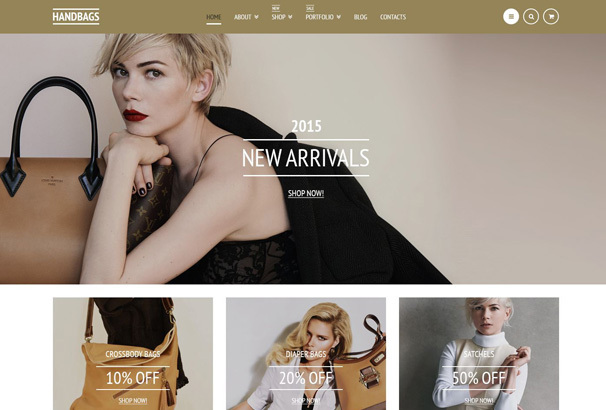 inVougue is a beautiful and functional online store theme that is very eye pleasing and easy to use and maintain. With support of drag & drop builder, customization of this theme is piece of cake. It comes with sticky menu, custom page heading, AJAX cart support and with SEO optimized code and retina ready screen it will fully mobile responsive and blazing fast. 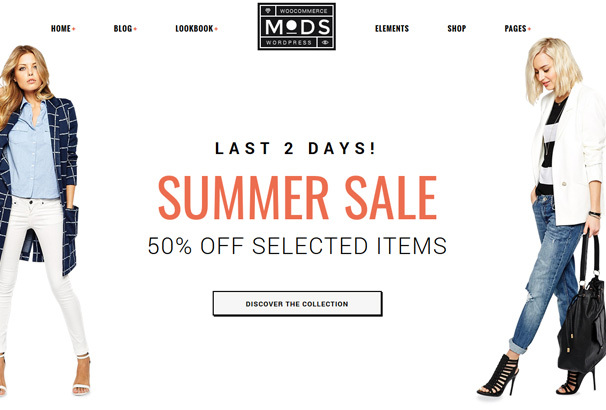 Mods is a stylish WooCommerce theme which comes packed with features. It comes with unlimited colors, drag & drop builder, video slider, multi-language support and with Photoshop ready files you can customize every aspect of this theme great design. Also with powerful admin interface, you can take full control over your site behavior and performance. 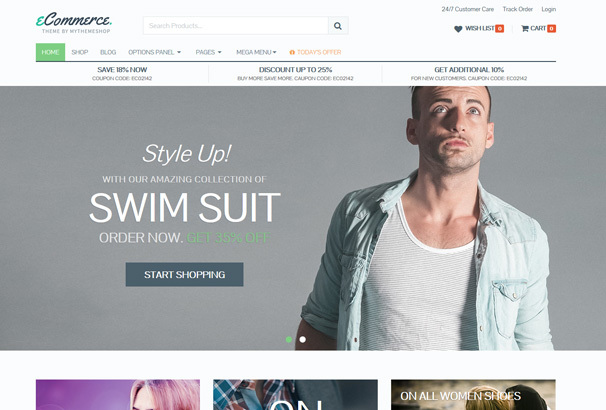 Emigo is the premium WooCommerce theme which is aimed to provide you with go-to solution for every kind of online shop. This multipurpose approach will open lots of possibilities not just eCommerce, It’s WooCommerce compatible, SEO friendly and comes with unlimited colors and Google fonts. Support team is dedicated to provide you with excellent customer service and you will save $46 with free slider revolution and visual composer plugins. 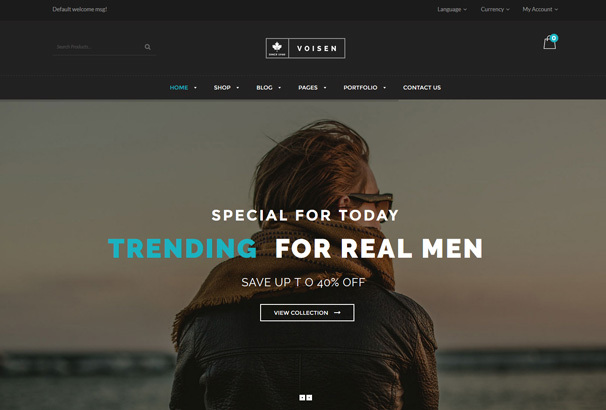 Voisen is a theme that looks amazing and professional, and its strongest point is 24/7 customer support which will be here for all your theme issues. It comes with multiple home pages to choose from. It’ easy to use, flexible and comes packed with easy to modify layouts and options which will be more than enough to make yourself a great online shop. 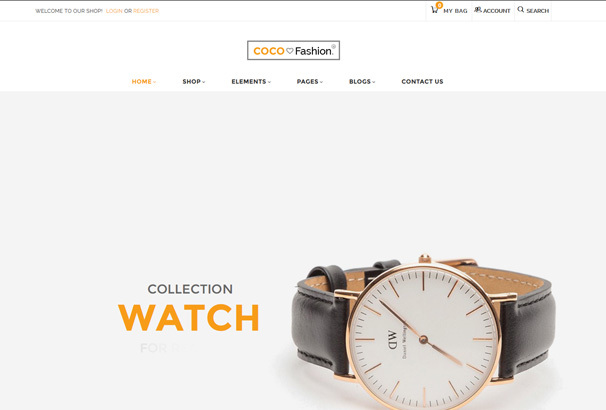 Coco is specially designed for shops and online stores. It’s built on the powerful WooCommerce plugin and comes with a great variety of theme options and customizations. Eye catching design will help you drive your customers and attention of anyone who are looking to shop online. This truly versatile theme with its awesome features provides you with unlimited possibilities. If you are looking for a sleek and powerful fashion WordPress theme then Jakiro will definitely catch your eye. It comes wit bunch of features like swatches, photo sliders, and visual composer that will help you to launch the successful online store. With it’s powerful features it will give your customers an awesome online shopping experience. 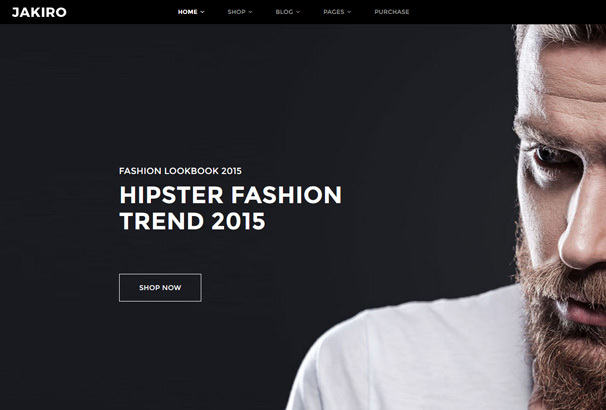 Fashion is a WooCommerce ready theme suitable for all kinds of online web stores and shops. 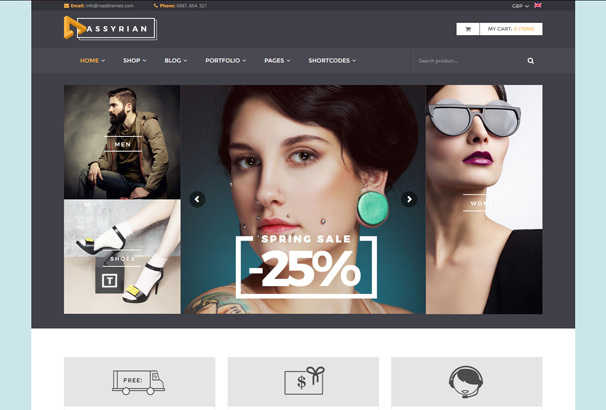 If you need a feature rich webshop with beautiful online presence then this theme will definitely be your best friend. With its clean code and modern framework code base this theme will provide you with lots of customization options. Also, with megamenu and vertical menu support it will bring out content in front of your customers. Bleu is one of the awesome themes that comes with easy installation and plenty of features that will help you build your online shop. This theme has 4 different headers, 6 homepage layouts, unlimited colors and layout combinations. Besides that you can rank very well on search engines with clean and SEO optimized code and with child theme support developers will find this theme highly attractive. Milano is a center of fashion. With one click install, it offers easiest and fastest way to build your website. This theme is also very designer-friendly and comes with PSD files for easier and faster design customizations. With revolution slider and visual composer, you will be ready to adapt this theme in no time. It’s worth to mention that it comes with video support to further increase content presentation. 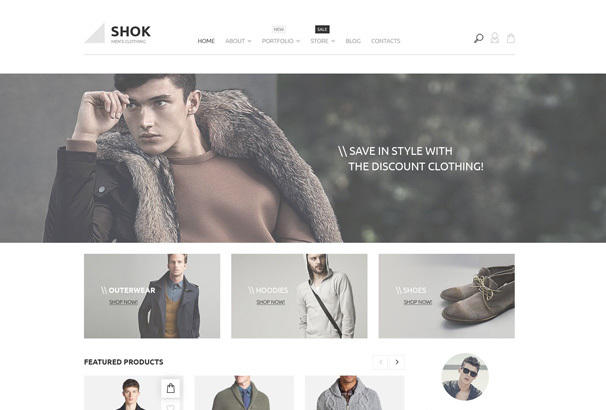 Maroko is a new age fashion oriented WordPress and presents perfect fit for your online store. It’s fully responsive and looks great on mobile phones and tablets. It comes with out of the box features like amazing ajax add to cart functionality, unlimited fonts and colors, product zoom feature as well as brand carousel and sub-sidebar. Customer support is great and will answer any your question within 24h. 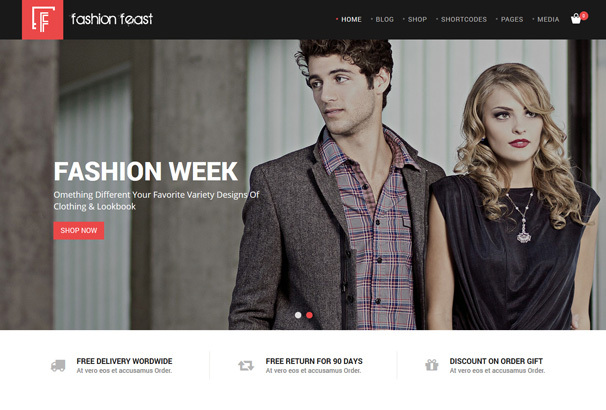 Fashion Feast Shop is WordPress eCommerce theme powered by the popular WooCommerce plugin. It’s suitable for all kinds of online web shops so you can start selling your shoes, watches or cosmetics immediately. This theme is amazing bit it really shines when it comes to the customer service. Definitely recommended. With multiple layouts, Assyrian theme is suitable for all kind of customizations. 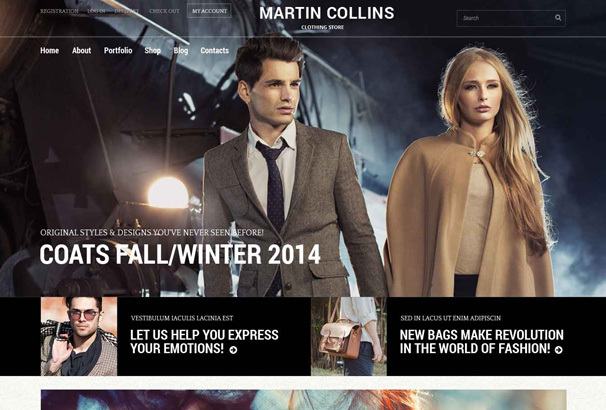 Whether you are looking for a fashion store or general online shop this theme will do its job. With many great customization options and features like ajax shopping cart, wishlist and product zoom this theme will offer you everything you need in one place. 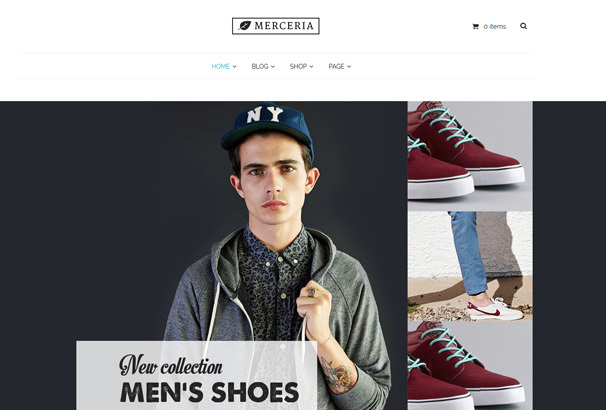 Merceria is a responsive and mobile optimized website perfectly suited for your next awesome fashion shop. It introduces some of the great features like product quick view, zoom, sales countdown timer and slideshow with top products. It’s worth to mention that you have google maps and contact form 7 integrated to further help your future and present customers. 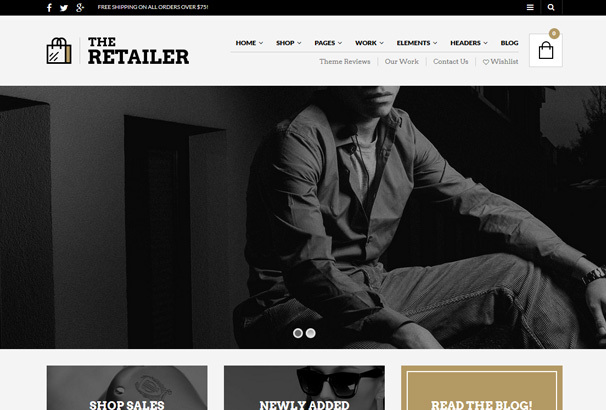 The Retailer is one of the top selling premium themes on Themeforest. This fame it gets is reflected in its features and options it offers. This theme is highly customizable and with one-click installation, it really helps build pages like ones you see in the theme demo. With stellar customer support and video guides for beginners, this theme is a perfect partner in your online business. Besides modern looking design, main reason why people buy this theme is customer support. With extensive documentation it really provides you with support in all your online shop and eCommerce projects. It comes with powerful customization options and which enable you to build virtually any website you want. It’s perfectly optimized for mobile phone so you don’t lose your customers and sales. Definitely worth to try it. Article is too good. 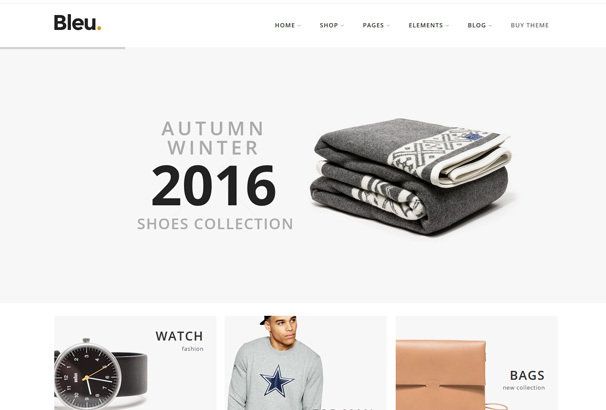 I have recently used Dictate, Zetra, 80’s Mod – Build Your Store with A Vintage Styled WooCommerce WordPress Themefor my client’s website. It is also very good theme for professional business.